It's a great size and my kitten loves it. Very soft, great value. 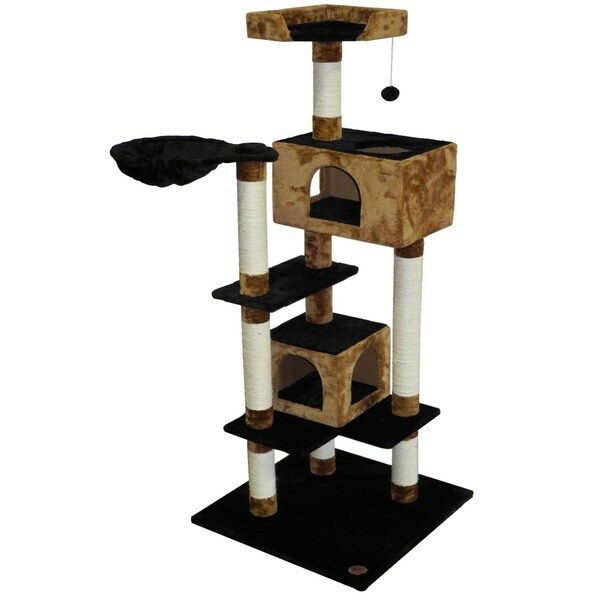 This multi-tiered unit is the perfect addition to any cat-loving home. With plenty of space for multiple cats, this cat tree from Go Pet Club features two cat condos, several scratching posts, a hanging toy and sturdy platforms for lounging. Covered with faux fur materials, this piece easily blends with existing decors while providing endless entertainment for your furry friends. As beautiful as this item is I'm kind of disappointed with the size of the platforms. The cat is having trouble maneuvering them to reach the ball she wants on the top. Not a lot of room to turn around or sit on.